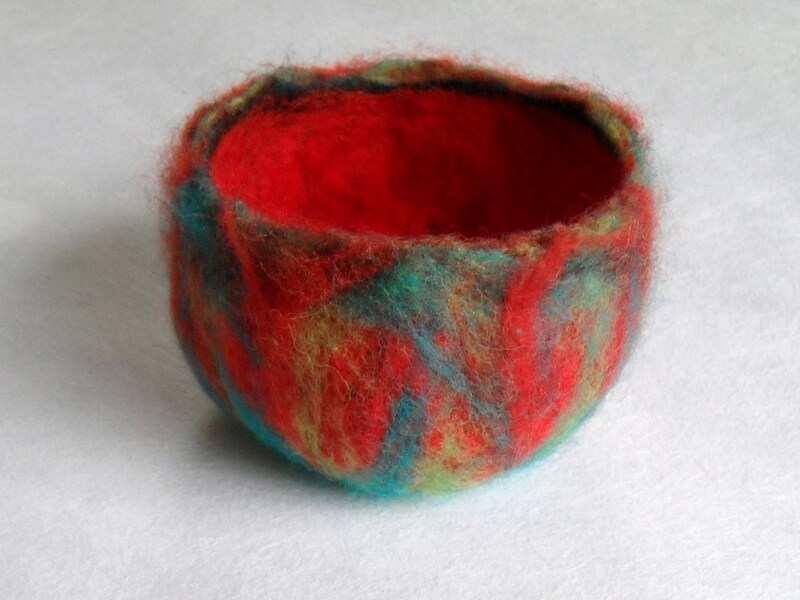 OK so I had a go at making the wet felted bowl this afternoon…..not an absolute disaster but it could have worked out better! 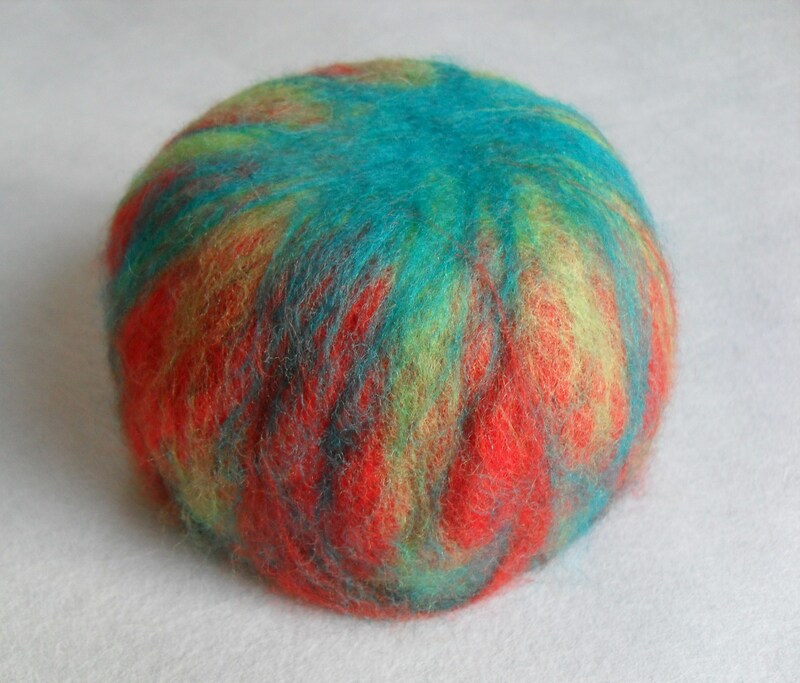 I used Merino wool from Adelaide Walkers ‘Brights’ collection laid onto a flat circular resist. All seemed to be going well until it came to taking the resist out. What started out as a small hole in the top of the bowl got stretched and became a huge gaping hole! I think my problem lay in not making the bowl thick or sturdy enough to withstand having the disc pulled out through the small opening. If only I had made this a bit bigger it would have come in useful turned upside down and worn as a funcky ‘dog-walking’ hat! Hi Zed. It was lovely to see you drop onto my site…your work was actually among some of the first I looked at when I discovered felting a few months back – I found it very inspiring! It’s a great bowl. The hole always gets larger after cutting (no matter the thickness of the wool) as the wool fulls down and shrinks. You should start with a much smaller hole than you need. But you learned something and that’s the fun part of felting, experimenting and learning along the way.